Mobile functionality has always been one of Acumatica’s top priorities. Acumatica offers a free to download mobile app on iOS and Android. It's part of every Acumatica ERP package, so you don't need to pay any extra for this time saving privilege. 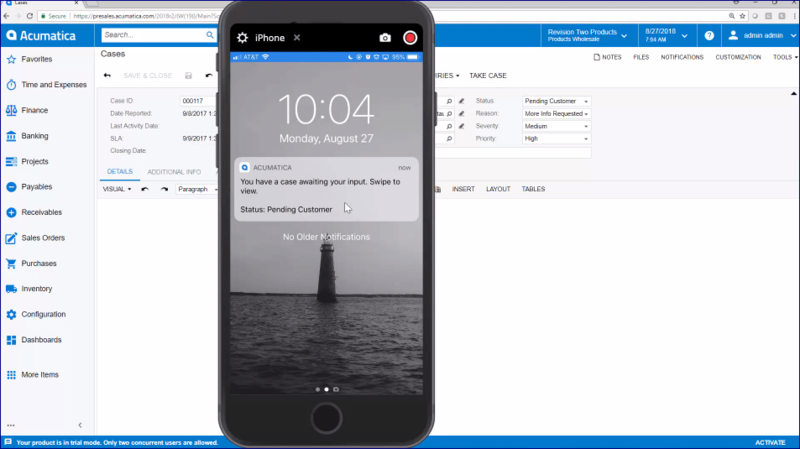 The mobile app for Acumatica Cloud ERP UK has all the functionality you require on the go. Enter your expenses or time cards, enter customer orders, update CRM and approve documents directly from your mobile. 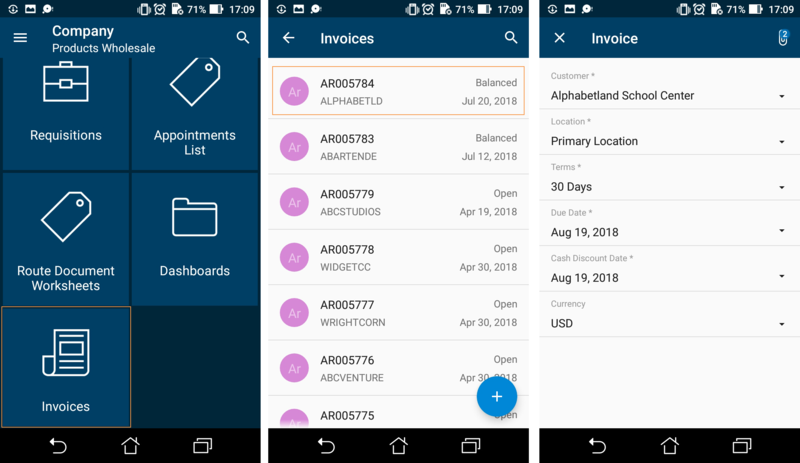 The app is highly customisable, using the Acumatica Mobile Framework, so you can ensure the app contains exactly the information your business requires.